If you have any general questions or any holiday enquiries that have not been answered on our FAQ page then you can either email us at info@walking-europe.co.uk or fill in the form below. Please advise us which tour(s) you are interested in. By checking the "yes" box above you are agreeing to join our mailing list. You can unsubscribe at any time by following the instructions on any newsletter. Our Salzburg Lakes Walking Holiday in Austria is in the region made famous by the film the Sound of Music; the fabulous scenic region of the Salzkammergut around Salzburg. Explore this wonderful region around Salzburg with its many Austrian lakes and mountain scenery which makes it the ideal location for a walking holiday in Austria. 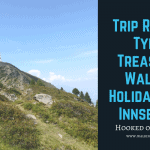 This is an easy level graded walking holiday with scenic walks in the Austria lakes and mountains region. You will start in Wolfgangsee where you will spend 2 nights, taking a ferry across the lake to start your walks. From St Wolfgangsee, you will make your way to Bad Ischl, where you can see the Emperor’s villa (Kaiservilla) or just enjoy your rest day soaking up the scenery. Following the brine line to Bad Goisern, you will continue onto the world famous Hallstatt before eventually returning to Wolfgangsee. The Austrian Lake District is considered one of the most beautiful treasures on earth. The uniqueness of this area has been recognised by UNESCO which has declared the region around Hallstatt as nature and world heritage site. We will show you some of the beauties on this Salzburg Lakes hiking tour that can be reached only by foot. You will not only enjoy the mountain scenery but the pretty villages and towns along the way. Taste some of the local cuisines, take your time and unwind. First, you will travel by boat to St. Wolfgang and then along the higher altitude hiking path to the Falkenstein wall. Enjoy the view on the lake along this mountain path. The romantic mountain path along the lake will lead you to Mozart’s town St. Gilgen. Then you can return by boat. First again by boat to St. Wolfgang and then we continue along the Sattel (saddle) walk to the Schwarzensee, where the Lore’s lake hut awaits you with its titbits and local specialities. We hike into the valley through a gorge and around the Bürglstein to the lake promenade in Strobl. Then by bus to the Emperor’s town of Bad Ischl. A day off in Bad Ischl with the possibility of visiting the Emperor’s Villa, Café Zauner or the former Hotel Austria, where the engagement of Emperor Franz Joseph and Sisi took place. Salt is and has been one of the most important raw materials in the Salzkammergut. There are a number of Salzburg salt mines. However, on today’s walk, you will walk along the Ischler Promenade on the brine line into the world heritage site in Bad Goisern. We continue on the brine line to the salt mountain in Hallstatt, where you can visit the famous salt mine. The path is slightly rising and offers dreamy views on the lake town of Hallstatt and the Dachstein. You cross the lake by ferry and back to Bad Goisern. First, you travel by bus to Bad Ischl before you continue along Elisabeth’s Wander Path, you will reach the romantic Nussensee and then follow the flow of the river Ischl to Strobl. Then onto the lakeshore path through the Blinklingmoos which will lead you back to Abersee. Enjoy once again the beautiful view on St. Wolfgang, the Schafberg and naturally the lake. Departure after breakfast or stay some extra nights. 2019 Prices – For complete tour price breakdown please click the book now button and select your holiday tour date. Prices will then be listed. Walks of around 4-6 hours each day with some climbs of 300 metres, a lovely first-time tour in low-level mountain scenery. It is a requirement of booking this tour with Hooked on Walking that you have suitable travel insurance which covers you for the chosen activity and for emergency evacuation and hospital care. By plane to Salzburg and then a bus to the tour start. We can fix a private transfer from Salzburg to the first hotel. Alternatively, you can fly into Munich or Vienna and take the train to the tour start. Boat fares on lakes Wolfgangsee and Hallstatter see. Train fares Hallstatt-Bad Goisern, Bad Goisern-Bad Ischl.